I don’t want to imply that what VW did was acceptable. The act by person(s) there of deliberately programing engine management systems to cheat at emissions tests crossed far over the line from being an ‘optimization’ and pushed it squarely into the territory of misrepresentation. Call it what you will: distortion, falsification, deception, perversion, manipulation, cheating … it was a deliberate and conscious programming act. Someone thought about it, then implemented it. It was done on purpose. It was wrong. But go easy; let’s take a large dose of perspective here. It’s not worth destroying the company over. The damage to everyone from a collapse of a company of this size, and the financial implications of this, show that the punishment does not fit the crime. If you are unfamiliar with the scandal, you can read more details here. In summary, someone (or a team) at VW programmed the engine management system for some diesel engines to detect when they were operating in a way that they would be when performing an emissions test. When operating in this condition they configured the engine (through adjusting fuel inlet, timing, and modifying the fuel/air ratio, and possibly adjusting what gasses bypassed some aspects of the exhaust path) to minimize exhaust emissions (giving the car a great ‘score’ when taking an emissions test). Then, when operating in none test conditions, they configured the engine to maximize fuel economy, giving the car a better MPG, and better range (but with increased emissions). The engines generated low emissions when they detected they were being tested, then, when not on a test, generated better power, better fuel consumption, but consequently higher emissions. The emissions generated in the later configuration would not have passed the emissions tests. They cheated. They wanted their cake and to eat it too. They wanted a great emissions report, and a great MPG figure. Who was aware? A Grand Conspiracy? There are close to 600,000 people currently employed by Volkswagen. This is speculation, but I’d wager that only a handful of people knew about this hack. The poor salesman trying to sell these cars did not know. The customer service reps did not know, neither did the technicians, the marketers, or the middle management. The workers who built and painted the cars did not know, the people who stitched the seats did not know. Even the upper management probably did not know. It’s not as if, when you joined the company, they pulled you into a little room, closed the door, made you sign a secret pact and brought you into the inner sanctum to disclose a dirty little secret. Have sympathy for the vast majority of the people who work there; they are probably suffering enough already and worried about their futures. This revelation was just as much a surprise to 99.99% of Volkswagen employees as it was to the general public. I believe that the upper management team, when they made the statement that they did not know about the issue, were speaking the truth. Come on, these are smart business people who, more than most, would understand the ramifications that a scandal like this would cause. They would not have gotten into their job positions without being savvy, and would not take the risk that you can “Fool all of the people all of the time”*. The people from the peanut gallery who said “The CEO should have known”, come on. There are tens of thousands of components in a modern automobile and many hundreds of thousands of lines of code in the various computers. Is the CEO supposed to know about all of these intimately? If you’ve never been to a board room meeting at a large company I can tell you that people don’t sit around and perform code reviews on engine management systems or scrutinize process for how each of the hundreds and thousands of individual components are designed, specified and manufactured. I’ll wager that, if VW released the source code for the affected engine management computers, the number employees who could understand the code would be very small, and fewer people still could detect how the bypass was coded and identify the offending instructions. Just in the same way as Tim Cook, who runs Apple, would probably not understand the vast majority of iOS source code, or the President of Boeing could probably not debug the flight management system of a 777. Instead they rely on a hierarchy of trust. Yes, VW officially said they “Screwed up”, and their CEO, Martin Winterkorn, resigned (Well, he was going to retire soon anyway, so that part was a little hollow). I think that’s sad. Yes, people should be fired. A witch hunt should be started to identify the people cognizant of the issue, and who perpetrated this deception. Punish those involved. Having people resign when they did not know anything about what had happened just robs the company of people of experience. Instead, find the people who did what they did. Yes, the company should provide compensation to those effected by the issue and provide patches to fix the problem, and yes, fine the company for its actions. Make the fines large to discourage others and make them aware of the consequences, but some of the crazy telephone number sized punitive damages being mentioned in the US press are just stupid: A fine of $37,500/vehicle; over $18 billion in fines, are you kidding me? UPDATE: In January 2016, the Justice Department sued VW for up to $46bn for violating environmental laws. This is in addition to the couple of hundred civil and private action cases. Upper management has a lot of responsibility, but cannot be held entirely responsible for everyone underneath them like some crazy Matryoshka Doll. If a Microsoft employee commits a crime, is Satya Nadella, their CEO, responsible? If his employee creates a bug, is Satya responsible? No, of course not. If this nefarious employee creates a malicious back door in Windows and writes some rogue code, is the CEO responsible? No. The employee who did it is responsible. If there was a manager who told him to write this hack, they are also responsible. Tangentially, the QA persons who did not detect it are negligent in their jobs. Everyone who is aware of an issue and understands it shares in the responsibility in a Sarbanes-Oxley like way. Anybody who learns about this and takes no action is also guilty. The engineering manager responsible for hiring the team responsible has some blame, as is each level of management that did not flow details about this upstream. I feel bad for the environmental impact of this event, I do. The affected VW cars are certainly spewing more oxides of Nitrogen into the atmosphere than they should, but put it in perspective with how much pollutants gasoline cars in the 60’s and 70’s used to spew out, and how much more fuel efficient a modern car is (either with our without this hack, modern engines are far more efficient and less polluting than those of a decade before). What's the value of a life? GM had an issue with Ignition switches. This was a design flaw. In contrast to the VW incident, the upper management did know about the issue. They were 100% cognizant of the problem for years (they knew about it for at least a decade before declaring a recall). This is a big contrast to the VW incident. In VW issue, when the details were revealed, it was a shock to VW; the people holding the reigns of the company were just as surprised as we were, and they reacted immediately. Contrast this to GM, where those at the top knew the issue, calculated the potential damage and made fiscal decisions to determine their strategy. The GM design flaw caused the engines of the affected cars to shut off uncommanded (this also stopped the airbags from deploying if the car then got into an accident). People died because of this. Lots of people died. Depending on how you interpret the figures between 13-153 people lost their lived because of a known defect. GM only admitted liability to the 31 crashes that occurred from ‘head-on’ collisions from the failure and lack of air-bag deployment, which caused 13 deaths. If you were unfortunate enough to be in a car whose engine stopped unexpectedly when driving, then you spun off the road and into a ditch, or tree, and died … well, GM, will did not admit liability for this, hence the discrepancy in death figures!*. If you died in the rear seat of a stalled car, GM said they were not responsible because your death was not caused by the failure of an airbag to deploy! *Update – As of April 2015, GM have now acknowledged 124 deaths (and 275 injuries). The board and upper management of GM knew about defect; in fact revelations show they knew about the issue for over a decade (and according to a National Traffic Safety Administration document, “concealed” information that was critical for the investigation). The upper management at GM did their spreadsheet calculations, factored in the cost of a recall, estimated the ‘value’ of a human life, and balanced one up against the other and decided to sit on it. Do you consider life more important than pollution? GM even went on to redesign the defective component to correct the problem (internally realizing there was an issue and fixed it to prevent future occurrences). They did not, however, change the part number! (making it hard to track later), and did not admit there was a problem (and even denied that the part had changed for half a dozen years, before internal documents revealed this was covered up too). How angry would you be at GM if you found out that one of your family members died because of a manufacturing defect identified years ago that they elected not to fix because of the financial impact the recall would cause? Some spreadsheet pencil pushers decided a value of your relative, and calculated that the loss of shareholder was not worth the recall. GM has set aside $625 million for compensation of victims of this defect. Families of those who died will get at least $1 million each. Bear that in mind if you think that $18b against VW* for an emissions hack is appropriate.  (*See update: the current proposed FTC fines are now considerably higher). The upper management at VW did not know about the emission issue, and as soon as they found out, they admitted the issue, the CEO resigned, they said they would fix it and make it correct. No known lives were lost. The ‘press’ are outraged at this scandal and are demanding $18b in compensation; potentially crippling the company. Let’s see what happened to GM. As part of a deferred Prosecution Agreement, GM agreed to pay $900m to the US government. (Yes, that’s right exactly twenty times less than the $18b quoted as fines for VW). 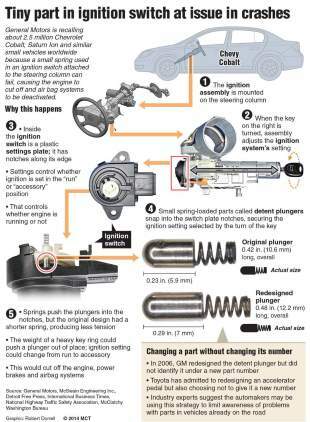 Click the image left for an infographic about what caused the GM ignition switch issue. This is not the first time that engine management systems have been manipulated. Far from it. In 1996 GM (yes, them again), paid an $11 million fine and recalled 470,000 vehicles, because the engine management system on Cadillacs disengaged emissions controls when the cars were not being tested. The engine management enriched the engine's fuel mixture, increasing carbon monoxide (CO) and unburned hydrocarbon (HC) pollution, any time the car's air conditioning or heater was turned on, since the emissions testing protocol specified they need to be off for the test. Play nice when you are being monitored, break the rules when not. Does this sound familiar? In 1998, Honda Motor Company had to spend $267 million to correct the disabling of the misfire monitoring device on 1.6 million 1996 and 1997 model year vehicles, and Ford Motor Company paid $7.8 million for programming 60,000 1997 Ford Econolinevans to keep emissions low during the 20-minute EPA test routine, and then disabling the emissions controls during normal highway cruising. Again sound familiar? In 1973 Chrysler, Ford Motor Company, General Motors, Toyota, and Volkswagen had to remove ambient temperature switches which affected emissions, though the companies denied intentional cheating and said that strategies like enriching fuel mixture during cold engine warm-up periods could reduce overall pollution. It’s not just cars, but heavy trucks. In 1998, Caterpillar Inc., Cummins Engine Company, Detroit Diesel Corporation, Mack Trucks, Navistar International, Renault Vehicules Industriels, and Volvo Trucks, paid out fines of $83.4 million, for, in the same manner as Volkswagen, programming trucks to keep NOx emissions low during the test cycle, and then disabling these controls outside the test. The fines at the time, were the highest paid, but again, $83m is a drop compared to the billions suggested for VW. Before your join in the chant of demanding blood from VW from their actions, consider the damage done and who would have known about it. Compare this to similar activities done in the past, and contrast it against incidents that played poker with the value of a human life. How do we solve this? More time has to be spent on why things are being done instead of how they are being done. Employees need to receive bonuses on things other than just 'delivery' (look at the problems this caused banks and investement firms). Sarbanes-Oxley is also a great start, and we need to make sure we keep channels free for anonymous and consequence free reporting of issues.